Place Lab is a non-profit venture dedicated to innovating the public place-making process through creative institutional, physical, and policy design. Originally founded as UP Urban Inc. in 2012 by business partners Loring Sagan, Lou Vasquez, and Michael Yarne of BUILD., UP's stated mission was to, "forge vibrant communities from impaired urban land through creative public private partnerships." Place Lab has worked with BUILD on public plazas associated with our One Oak, O&M, and 1532 Harrison projects. Place Lab has a strong track record of innovation and successful implementation of new models for public space delivery and maintenance, working collaboratively with cities, neighborhoods and the real estate development community to achieve mutually beneficial outcomes. 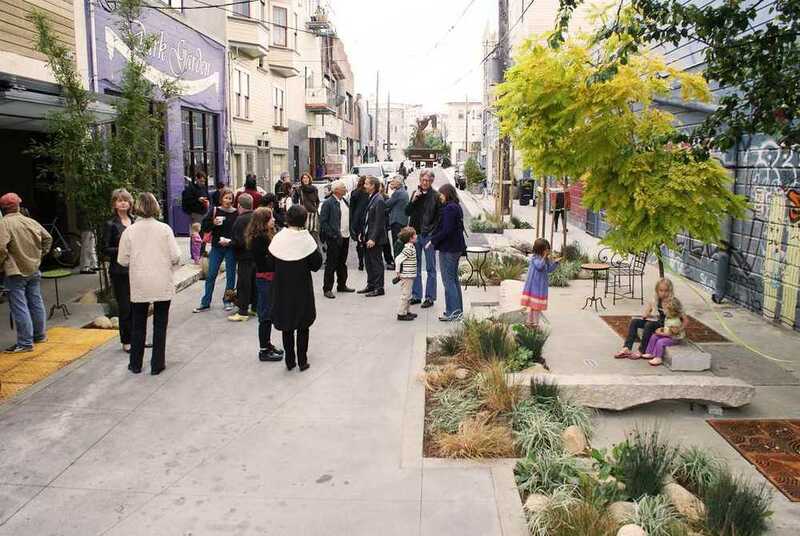 Today, Place Lab works to foster better public place-making through three strategies: creating new public spaces; sustaining existing public spaces by empowering communities; and advising cities to create policies that deliver healthy public spaces. Learn more about Place Lab at their website http://placelabsf.org/. 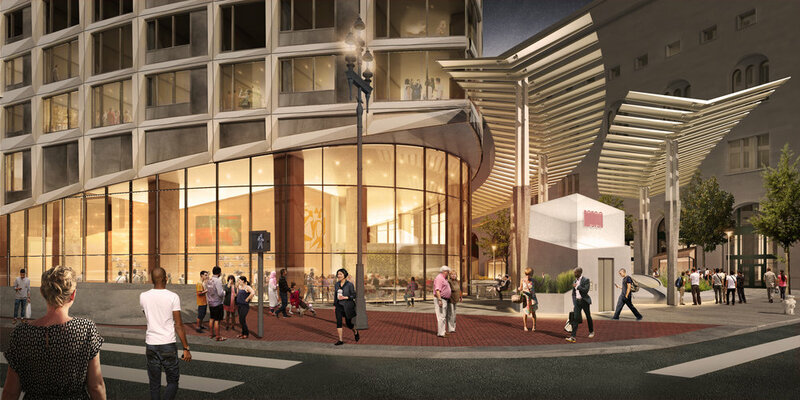 In a neighborhood rich in esteemed cultural, educational and civic institutions, Oak Plaza is envisioned as the “front porch” for San Francisco’s performing arts district. Located at the confluence of major transit routes—Market Street, Van Ness Avenue, Franklin Street and the Muni Metro underground—Oak Plaza will serve as an outdoor respite for the neighborhood’s daytime office workers, evening performance-goers and diners, and the thousands of new residents arriving in the next five to 10 years as a result of major residential construction in the area. The proposed plaza is designed as a shared public way, meaning the space can accommodate slow-moving one-way through traffic but prioritizes pedestrians and cyclists. For special occasions and to accommodate events and festivals, the plaza can be temporarily closed to vehicular traffic to create a pedestrian-only gathering space. Place Lab (previously known as Build Public) is managing the community outreach, approval process, and long-term maintenance and stewardship plan for Oak Plaza, in collaboration with BUILD, neighborhood stakeholders, the City and County of San Francisco and other local developers. Partial funding for the project will stem from an innovative collaboration with the developers of One Oak, a proposed residential tower at Market Street, Van Ness Avenue, and Oak Street. Leveraging San Francisco’s unique In-Kind Agreement process, a portion of One Oak’s impact fees may be allocated directly into Oak Plaza as an “in-kind” improvement that will provide the neighborhood with a much-needed public gathering space. Once constructed, Oak Plaza will be managed and programmed by Friends of Oak Plaza, a non-profit stewardship organization comprised of neighborhood stakeholders, nearby business and property owners, and other interested community members. Friends of Oak Plaza will ensure the long-term cleanliness, safety and accessibility of Oak Plaza as a shared public amenity. To learn more, please visit Oak Plaza's Website as well as BUILD PUBLIC's website atwww.buildpublic.org. An arts plaza in the heart of Dogpatch and adjacent to BUILD's newest 116 rental home project, O&M.